The Yellow, Gray, and Burgundy color zones found at the visitor’s parking map. 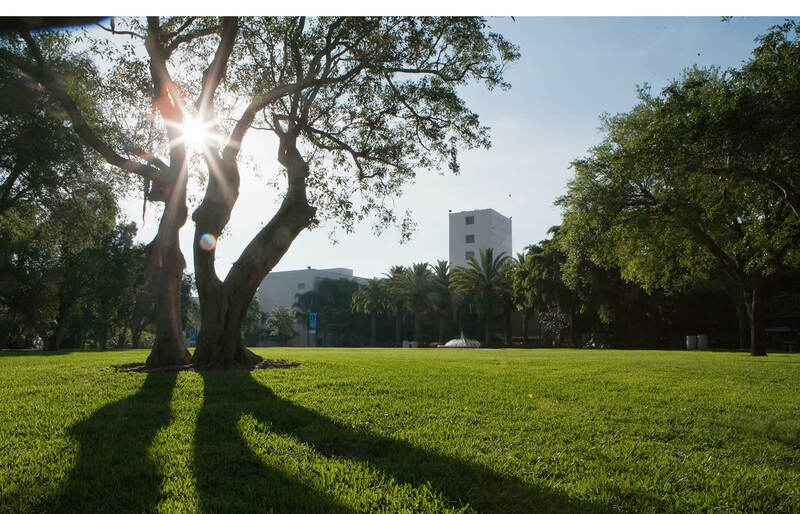 Click here for UM Parking & Transportation's full visitor's parking policy. The map below provides walking directions to the Law School (about a five minute walk) from parking at UM’s Pavia garage. Please give adequate time for parking. A minimum of one half-hour is suggested. The Office of Student Recruitment is in the School of Law complex, Room F203. 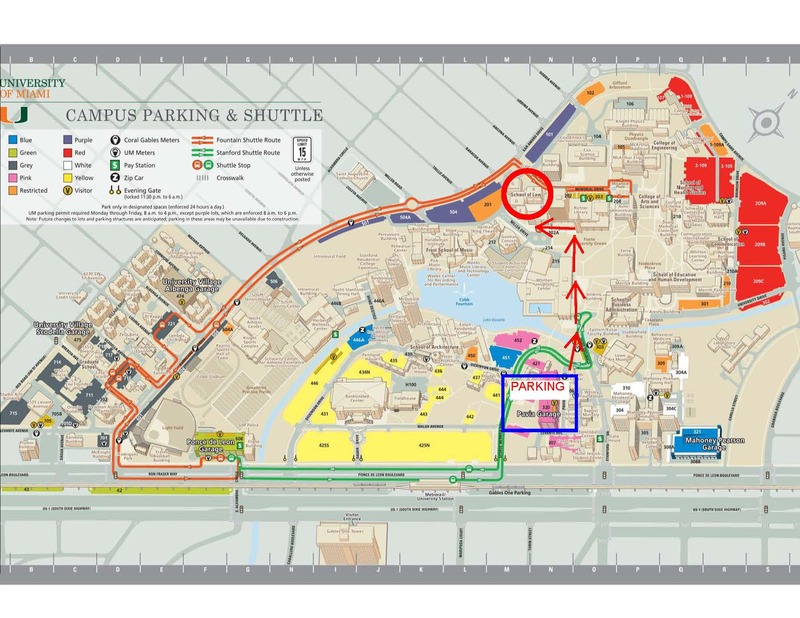 Campus Map – On this map, the Pavia Garage is located at N8 (pink building) and the Law School is at M3. All routes below lead to the on-campus Pavia Parking Garage. Take LeJeune Road south to Ponce De Leon Boulevard. Turn right on Ponce De Leon and travel about 1 mile to Stanford Drive, main entrance to UM. Stop at the entrance gate for directions to the Pavia Parking Garage or continue on, turning left from Stanford onto Levante Avenue, then right onto Pavia. The garage is on the left. Take 595 West, which connects with I-95 South. Take I-95 South, which becomes U.S. 1. Continue about 5 miles. Turn right on Stanford Drive, main entrance to UM. Stop at the entrance gate for directions to the Pavia Parking Garage or continue on, turning left from Stanford onto Levante Avenue, then right onto Pavia. The garage is on the left. Head south on 95, which becomes U.S. 1 (South Dixie Highway). Stay on U.S. 1 for about 5 miles to the UM campus. Turn right on Stanford Drive, main entrance to UM. Stop at the entrance gate for directions to the Pavia Parking Garage or continue on, turn left from Stanford onto Levante Avenue, then right on Pavia. The garage is on the left. Take the Turnpike to SW 40th Street (exit 23). Head east on SW 40th Street to Red Road (SW 57 Avenue). Turn right onto Red Road. Make a left onto Miller Drive (SW 56th Street). Take Miller to the end (you'll be at a traffic light/intersection where you can only make a right or left). Make a right at that light, onto San Amaro Drive. Take San Amaro Drive to end of road, to Ponce de Leon Boulevard. Turn left onto Ponce de Leon Boulevard. Turn left onto Stanford Drive, main entrance to UM. Stop at the entrance gate for directions to the Pavia Parking Garage or continue on, turn left from Stanford onto Levante Avenue, then right on Pavia. The garage is on the left. Take I-75 to the 826 West exit. 826 West turns into 826 South; continue on 826 South until the Miller Drive exit (SW 56 Street). Turn left onto Miller Road (SW 56 Street). Take Miller to the end (you'll be at a traffic light/intersection where you can only make a right or left). Make a right at that light, onto San Amaro Drive. Take San Amaro Drive to end of road, to Ponce de Leon Boulevard. Turn left onto Ponce de Leon Boulevard. Turn left onto Stanford Drive, main entrance to UM. Stop at the entrance gate for directions to the Pavia Parking Garage or continue on, turn left from Stanford onto Levante Avenue, then right on Pavia. The garage is on the left. 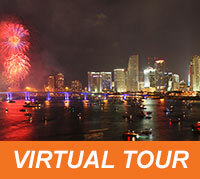 Please visit UM’s Parking & Transportation website, or call 305-284-3096.